A lot has changed since on-premises systems were the only option for companies searching for an accounting solution. 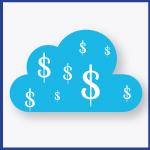 Today, cloud financials offer better value, more advanced functionality and faster access to information than out dated on-premises systems. We are pleased to announce a new webcast featuring companies that have made the switch to cloud accounting and seen increased growth and stability. It will feature industry expert David Cieslak and allow attendees to receive one Continuing Professional Education (CPE) credit to ensure compliance with the American Institute of Certified Professional Accountants (AICPA) Requirements. Automates financial processes and integrates with best-in-class solutions. Provides anytime, anywhere access to real-time data and reporting. Saves money by eliminating costs related to upgrades, hardware, and IT resources. Delivers advanced functionality without expensive upgrades or disruption to your business. Again, you can register for “Moving Financials to the Cloud: Why Organizations Made the Switch” by clicking the link here.